It looks like Apple’s almost mythical multi-device charging pad isn’t quite dead yet. “Place iPhone with screen facing up on AirPower or a Qi-certified wireless charger,” reads the setup guide. While this doesn’t necessarily mean that Apple plans to reveal its AirPower charging pad soon, it seems that it’s at least still in development in some capacity. Rather than take advantage of established Qi-certified wireless charging, the AirPower aims to build on this technology by allowing wireless charging from any location on the pad, as well as through its tight integration with iOS. 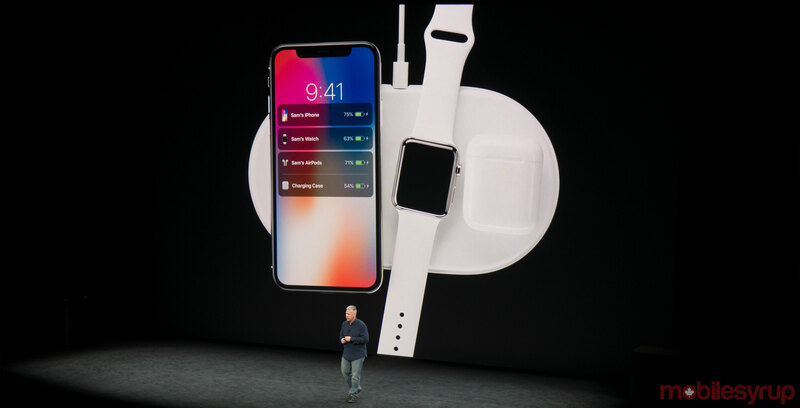 The AirPower is capable of charging the Apple Watch, iPhones compatible with wireless charging, including the recently released iPhone XS and XS Max and Apple’s Airpods through a still unreleased wireless charging case. While Apple announced the AirPower back at its September 2017 keynote, the anticipated charging device hasn’t been seen since and was a no-show at Apple’s 2018 recent fall presentation. It’s possible Apple could be saving revealing the AirPower’s release date for its rumoured October keynote. Recent reports indicate that AirPower’s complexity has resulted in a series of problems for Apple’s engineers, likely resulting in the charging pad’s delayed release.